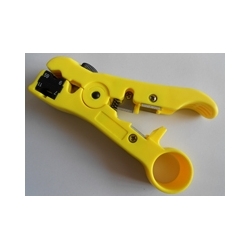 The coaxial cable stripper T5005 is for stripping UTP/STP cables such as RG59, RG6, RG7, and RG11. 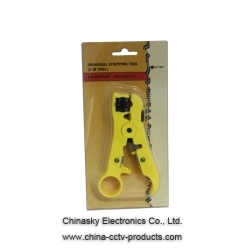 It strips outer jacket of UTP and STP cable and CAT5 round telephone cable. 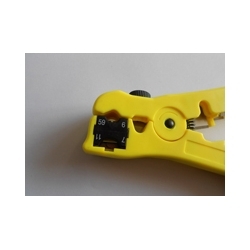 It strips RG59/6/11/7 coaxial cable. It strips flat telephone cable. 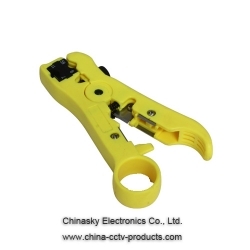 It also has cable cutter function.